Eight years before BOJAR's launch, skilful sailor and yacht designer Johan Anker drew the lines for the Dragon One Design. Watch our latest featured boat for sale video above, on this 1937 jewel. John Leather, noted naval architect himself and prolific writer on marine matters, considered Arthur Payne to be second to none in the design of fast cruising and racing yachts - the equal of William Fife and GL Watson and ahead of Joseph Soper in this regard - and JAVELIN rightly fits into this category. 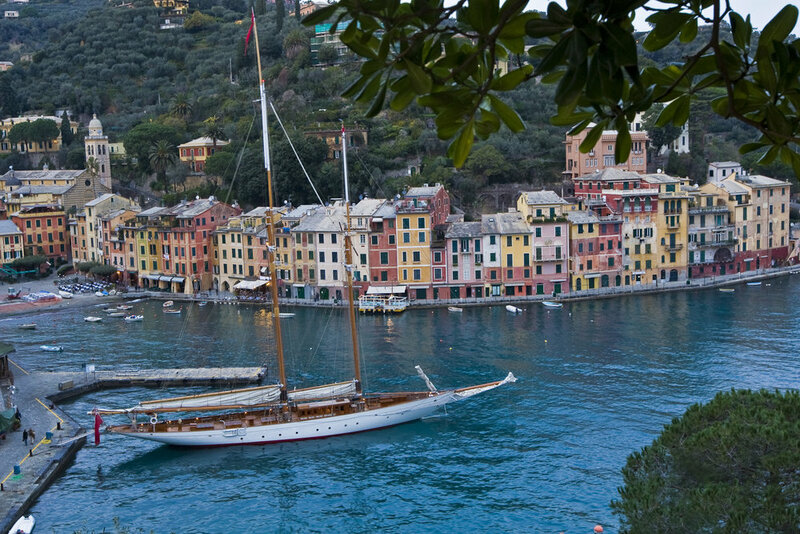 ORION OF THE SEAS stern-to in Portofino, Italy. Now ORION OF THE SEAS; she was completely rebuilt 2003-2005 with a total focus on keeping the original detail where possible but where modern systems were installed; then most discreetly and with effective sound insulation. Where money is no object it can lead to “over restoration” but the treatment of ORION leaves her looking very much as she would have done in 1910 – yet she is probably stronger now than she ever was and could reasonably be described as a “classic super yacht”. As a regular winner on the classic race circuit; many who have spent time aboard acknowledge how she has touched their lives – she is simply unforgettable. Watch Classic Yacht TV’s video below, which shows ORION OF THE SEAS set up for cruising – highlighting her entire deck, beautiful deck houses, the guest area and what she looks like from a tender with her sails set. To see more photos, follow this link. Johan Anker was considered an artist in yacht design - greatly concerned with the beauty of lines and BOJAR doesn’t disappoint. Indeed as a boat of such breathtaking and effortless beauty, a classic gem; she genuinely lifts the human spirit and perhaps even defines the term “classic yacht”. With her keel weight and displacement balanced at approximately 50 / 50 she is an extremely effective sailing boat. Perhaps no surprise then she was the winner of a 'Je ne sais quois’ at the 2012 Panerai Regatta at Cowes; third in class in the Round the Island race and more recently impressive results at the RYS Bicentenary Regatta. To view more photos, please follow this link. Classic Yacht TV’s short video on BOJAR has been a success, with over 100,000 YouTube views alone, we recommend watching it via the link below in order to understand how special this classic yacht for sale, really is. If JFK chose MANITOU for her good looks and speed – who are we to argue? 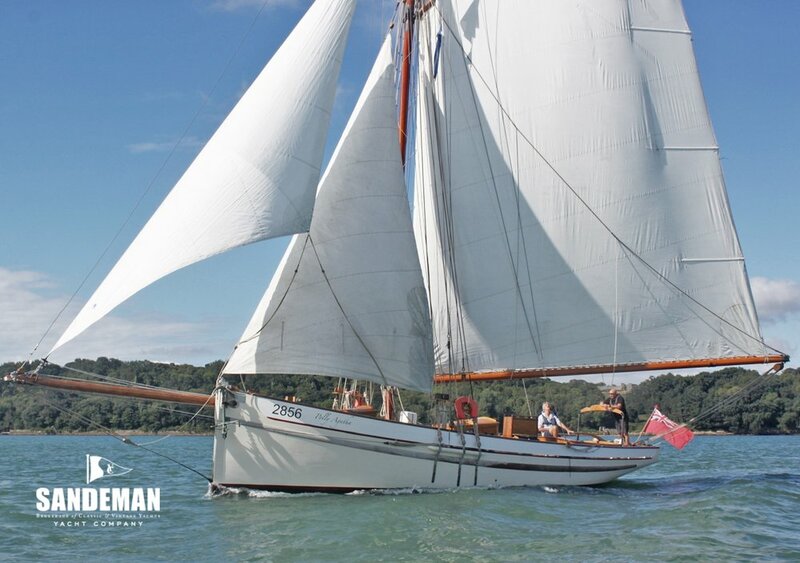 Olin Stephens (Design No 99) drew her in 1936 from the same bloodline as DORADE and STORMY WEATHER for her first owner who wanted to win races - and she is, at 62ft a bigger boat than her sisters, offering more space and luxury below. Designed to sail well in both light airs and heavy weather; on the Mediterranean classic race circuit she has more than proven her capabilities in winning many regattas outright. The current owners have stopped at nothing in maintaining MANITOU to ensure she is probably as strong as she ever was and cosmetically immaculate. Watch the video below to more easily experience MANITOU on the water, get to know her as she racing in Saint Tropez. To play the video above, press the white play button in the centre of the image. John Leather noted naval architect and prolific writer on marine matters considered Arthur Payne to be second to none in the design of fast cruising and racing yachts - the equal of William Fife and GL Watson and ahead of Joseph Soper in this regard - and JAVELIN rightly fits into this category. Leather went on to say how pleased their owners and crews were to be sailing such seaworthy yachts - often with ketch or yawl rigs designed for easy handling. He noted, too, that the Payne yard had designed and built some of the most beautiful yachts ever to grace the Solent. At 73ft on deck and with her divided ketch rig JAVELIN can indeed be easily sailed for a vintage yacht of this size. Assiduously restored in 2006, she is hard to tell apart from the Beken pictures taken a hundred years ago. Indeed her teak and pitch pine hull planking is the original and testament to the quality of design, materials and workmanship of that era. Notwithstanding; modern systems have been discreetly fitted to make her luxurious to live on and a wonderful family boat. More than a century on; with that Beken picture in mind she is moreover haunting to behold. When Classic Yacht TV visited JAVELIN to shoot the video, the owner offered some photos of historical documents he found in Cannes and Monaco and has some further information on this. View JAVELIN’s impeccable Victorian, original, interior on the video below to fully enjoy and gauge how rare a classic yacht of this kind really is. This beautiful Alfred Mylne designed Fife yard built cutter is pedigree indeed. At 54 ft, with a Marconi rig to the original plans, she has enough accommodation to cruise in comfort. IRINA VII seems to hit a sweet spot among vintage yachts; striking - indeed memorable whether seen under sail or alongside showing her characteristic Mylne forward sloping doghouse set in wide uncluttered decks. Both cruising and racing she is a yacht for the connoisseur most certainly. We highly recommend watching our video featuring IRINA VII, narrated by Tom Cunliffe, to get the full experience of this Fife built, Mylne designed pedigree yacht that’s well known in the Mediterranean, as you’ll see as she graces the waters off Cap d’Antibes. Press the white play button above to start watching IRINA VII sailing off Antibes, France.